Cotton Knee Patch Riding Tights for Her! Saddle Bums 4-way stretch Cotton tight is beautifully styled with no inner leg seam and would be well suited for the arena. 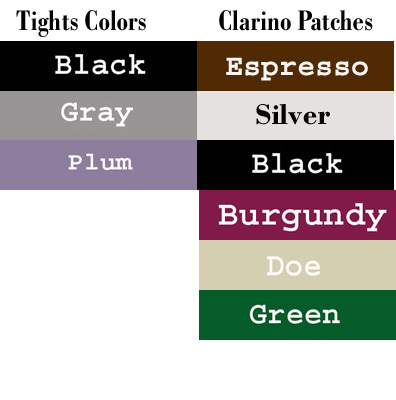 The sueded Clarino Knee Patch curves to the bend in your knee. This tight has a handy inside pocket to stash cash or keys, an elasticized waist and gripper bands at the ankles for a stay put fit. Comes in 3 colors with a variety of patch colors to choose from. Want to order more than one? Just click on "Add to Cart" again!